March 8, 2016, 11:49 a.m.
By Laura Hazard Owen @laurahazardowen March 8, 2016, 11:49 a.m. If you think about the way you scroll through social media in a given day, you’ll realize that it includes a lot of sampling — clicking through and scanning an article, or watching a short video with the sound off. It hasn’t been totally clear how audio fits into this. “I come from the TV world, where there’s a lot of video for us to use,” Delaney Simmons, WNYC’s social media director, told me. “[In radio], we have a unique problem in that our content isn’t necessarily shareable.” After all, how do you skim a podcast or listen to an audio clip on mute? The team has been experimenting with the concept of audio content on social for awhile. Two years ago, it was an early publisher to use Twitter’s ability to embed audio in a tweet. In February, WNYC started experimenting with Anchor, an iOS app that lets users share short audio clips. But Anchor is more about user-generated content than about posting WNYC’s own content on social platforms. Last December, the station published a full-length episode of Here’s the Thing on Facebook. “From that experience, we learned there is an appetite for audio on social media,” Simmons said. But many people didn’t listen to the entire thing on Facebook. Some did, but more just listened to the first part. “We think shorter, more snackable content is the way to go,” Simmons said. “People on social media are always scrolling through their news feeds looking for the next thing, and after we took a look at the backend analytics [for that episode], we decided the shorter, the better: Get people in, get people out, give people the best piece of content you can at the time, and hopefully they’re going to find it really interesting and engaging.” After that, they’ll be funneled to iTunes, the WNYC app, and other podcasting apps to download the full thing for, say, their commute. Hearing all of this made me wonder why Facebook hasn’t yet launched an audiogram-like audio initiative itself. 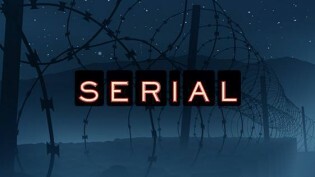 Simmons cautioned that she can’t speak for the company, but said, “I think that they are interested in audio, and I know they’ve been doing some tests as well.” One of those tests is with podcast previews for Serial. For now, WNYC plans to use only existing audio from podcast episodes in its audiograms. 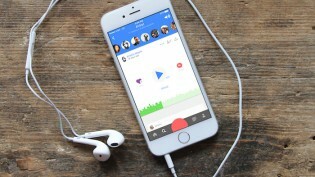 Down the line, though, “we are looking to create social-specific audio,” Simmons said. That could include “clips left on the editing-room floor” or extra content that was removed for length reasons. Also on the way: subtitles. A lot of users watch videos with the sound off, but that obviously doesn’t work for audio. For now, at the very least, the audiograms show visible soundwaves to make it clear that a user needs to enable sound or put on headphones to listen. POSTED March 8, 2016, 11:49 a.m.
Owen, Laura Hazard. "Hoping to make audio more shareable, WNYC introduces “audiograms” for social media." Nieman Journalism Lab. Nieman Foundation for Journalism at Harvard, 8 Mar. 2016. Web. 18 Apr. 2019. Owen, Laura Hazard. 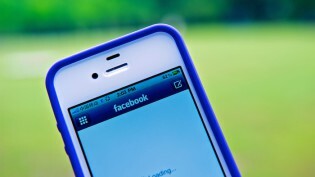 "Hoping to make audio more shareable, WNYC introduces “audiograms” for social media." Nieman Journalism Lab. Last modified March 8, 2016. 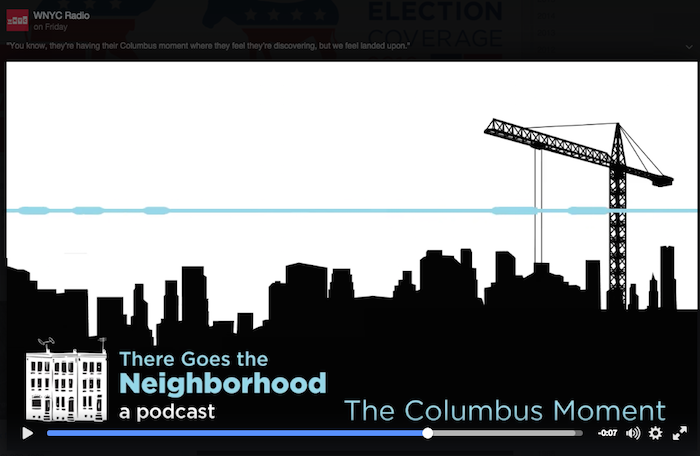 Accessed April 18, 2019. https://www.niemanlab.org/2016/03/hoping-to-make-audio-more-shareable-wnyc-introduces-audiograms-for-social-media/.